Merrick, New York, USA. January 24, 2019. 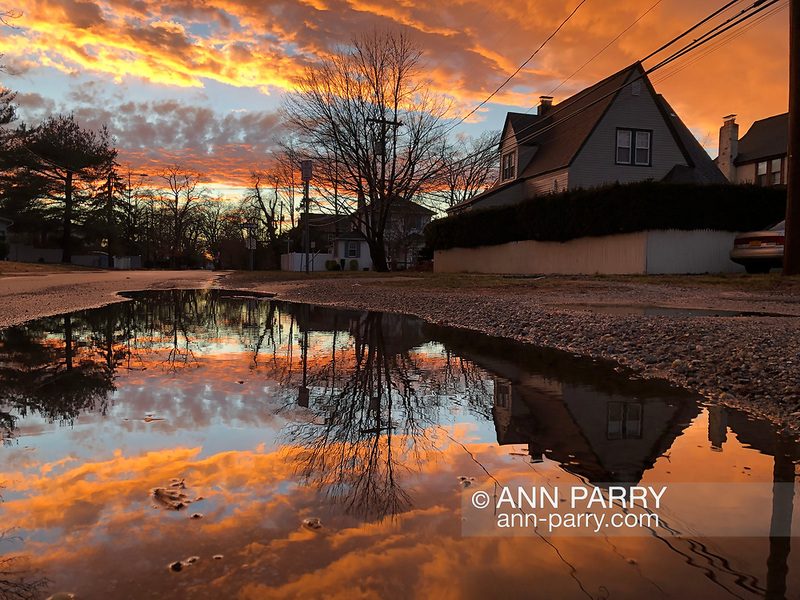 After flash flood, reflection of colorful winter sunset fills large puddle in road of suburban town on south shore of Long Island.